We first talked about his choice of computer system and Digital Audio Workstation (DAW) software. He initially wanted to buy a proprietary, self-contained system so he wouldn’t have to learn how to use recording software. However, I explained that he should choose software that a lot of his peers are also using so that he could easily get training and support. He researched the needs of his current clients and learned that one of his main publishers uses Pro Tools. For that reason, he decided that he would use it, too. Your software choice may not seem so clear-cut. This article on the ACX blog about the most popular software choices will give you pros and cons of several DAWs to help you make your decision. Before you undertake an ACX project, you need to learn how to use your recording software, at least to the bare minimum capabilities of recording, saving, and exporting your files. I highly recommend you purchase the 2 excellent webinars about audiobook recording and mastering that studio engineer George Whittam and ACX engineer Charles Clerke taught for ACX users through for VoiceOverXtra.com. While they aren’t audiobook specific, I also suggest you look at the extensive video courses on DAWs and other useful topics offered by Lynda.com. Lynda courses are much thorough and come with a transcript and materials. You can preview the Pro Tools 12 Essential Training at this link, but classes on every popular DAW are available. You pay for the service monthly, can take as many courses as you want, and can cancel at any time. In addition to courses on DAWs, Lynda offers loads of classes in marketing, social media, web site design, and other topics useful to your audiobook business. On a related note, I want to add that on-going training in audiobook performance is essential throughout your career as a narrator. Again, on-line offerings are numerous, affordable, and invaluable. For instance, VoiceOverXtra offers webinar replays on audiobook performance from director Paul Ruben and narrator Sean Pratt . As another example, narrator and coach Pat Fraley and narrator Scott Brick have created a number of home study courses designed expressly for audiobook narrators. After he completed his software training, I told my friend that he should establish good practices and habits in his home studio to make his workflow compatible with those of traditional audiobook publishers. One of the most important things a narrator can do to streamline the recording process is to learn the recording technique called punch and roll. In this terrific explainer video, audio engineers Don Baarns and Amanda Rose Smith demonstrate the punch and roll technique and discuss why a narrator should use it. The punch and roll method dramatically decreases the editing time because all of the mistakes are removed at the time of recording. The full audiobook is completely assembled at the end of the recording sessions. Traditional audio publishers complete recording of the book before editing it. That way, if you want to change something earlier in the book, it won’t be edited twice. New narrators will learn a lot about their narration ability and sound quality by listening to their own voice while editing their audio files. Due to his busy recording schedule, my friend could not edit anything longer than an audition. Since you could narrate another book during the time one book is edited, I recommend that every narrator outsource your narration for editing and proofing as soon as possible. You can ask your narrator friends for editor recommendations or contact people who listed their services and rates on this spreadsheet, which was created on Facebook in response to narrators’ frequent requests for assistance. ACX encourages you to use one of the ACX Independent Contractor Agreement forms for your contract. Whether you are working with an editor or editing your audio and creating your files, you need to establish a file naming convention for your recordings. The exact format for the naming convention doesn’t matter as long as the names are consistent and clear, with the section number first, followed by the section name. It’s a good idea to include some form of the book title in the section name. Otherwise, it would be easy to mix up files between books. Traditional audio publishers complete recording of the book before editing it. You will want to edit the complete audiobook before uploading the finished chapters to ACX. After the rights holder (RH) has approved the first 15 minutes, they should not be allowed to guide the work in progress. Audiobook narration is a unique performance art that is based on the narrator’s interpretation of the author’s words. The actor’s job is to make choices throughout the performance. Those choices frequently will not match the choices the RH would make. Therefore, it’s vitally important to set expectations at the outset. Unless the RH is willing to pay per real-time hour to direct you through every second of the entire full performance, you should clearly communicate the types of revisions you’ll accept at project completion, namely technical errors on your part like mispronunciations or misreads. 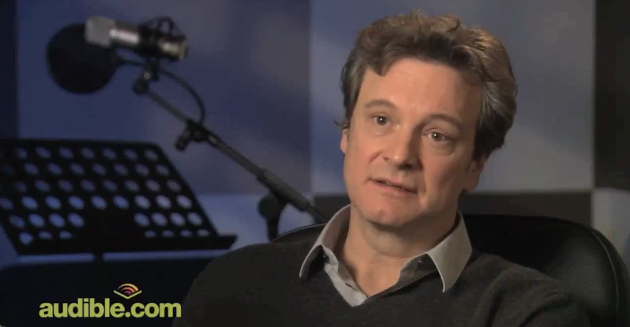 Colin Firth beautifully expresses this idea in this video clip. Otherwise, some RHs tend to micromanage the process and will send copious notes like a Monday-morning quarterback analyzing the big game. Since my audiobooks are edited and proofed by someone else, the RHs rarely have found any issues or requested any changes. Even though my friend was already an exceptional communicator, he felt a bit overwhelmed in learning the ACX process. Before we tackled offers and contracts, I explained that the ACX message system is the official record of correspondence. For your protection, you should use the ACX message system to confirm all details with rights holders. However, the ACX message sometimes does NOT send your message! Rather than risking the loss of your note, I suggest that you first write your message in your personal email program or text editor and then copy and paste it into the ACX message system. 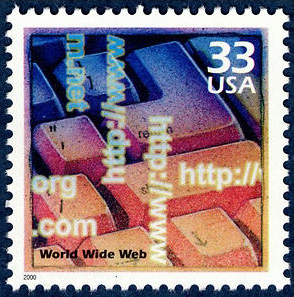 This way, if the ACX system doesn’t send the message, you don’t have to re-type it. The ACX system should display “Message Sent” on your screen if the transaction was successful. 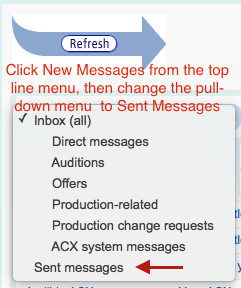 You can also check the Sent messages in your ACX Message Center as shown in the picture. If you don’t find your message in the Sent folder, you’ll need to re-send it. In addition, you are free to communicate with the rights holder outside of ACX. I usually exchange personal email addresses and communicate that way as the ACX message center does not work well on an iOS device. You can and should negotiate the rate and due dates of any production before accepting an offer. I also explain my payment terms and invoice schedule at that time so the rights holder has no surprises. After conferring with the rights holder about my availability and the amount of time needed for the production, I schedule the dates with my editor and notify the RH of the due dates. Once you and the rights holder agree on the payment and schedule, you can accept the offer. Be aware that any schedule deviations during production can’t be changed on-site and should be noted in email. On non-stipend projects, there’s no need to inform ACX, though. As long as you and the rights holder are on the same page, ACX is satisfied. If you’ve been cast to narrate a royalty share book with an ACX Production Stipend attached, you should be aware that you must complete the production and the RH must APPROVE the audiobook no later than day 60 following the contract acceptance date. You’ll want to ensure that your rights holder is aware of this fact as well. Tell the RH the date to send the offer. Set the audiobook due date no later than 45 days past the contract acceptance date to allow time for the RH to listen to the book and for me to do any necessary corrections. I use this calendar calculator to determine due dates, especially the 45th and 60th days on stipend projects. After I accept a project, I remind the RH of the dates to finish their review and approve the book so they can put the dates on their calendar. Note: ACX may be in the process of phasing out the Stipend program as they have awarded stipends to very few titles in recent months. 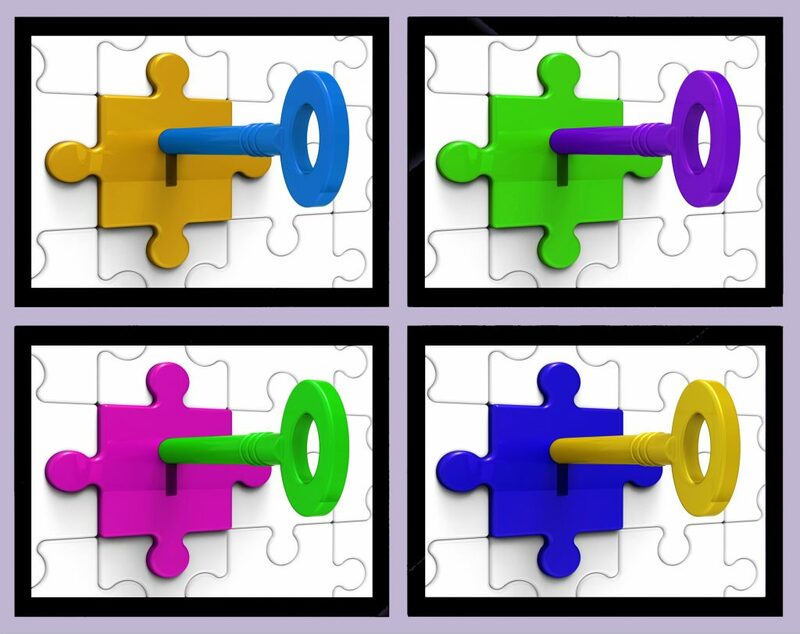 You can still follow steps 1 and 2 above for all projects to better manage your workload. No job is finished until the paperwork is done! 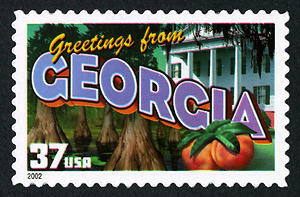 Much of an ACX producer’s paperwork revolves around payment and tax issues. You’ll need to invoice the rights holder for a “pay-for-production” project. For Stipend projects, the stipend is paid by ACX, so follow the directions and use the invoice template found here. If you’re a member of the SAG/AFTRA union, you can request that contributions are made on your behalf to your health and retirement fund on qualifying projects. The RH has to send your payment through the paymaster, and it’s up to you as the producer, not ACX, to provide the paymaster’s information to the rights holder. You will need to request a completed IRS Form W-9 from each person on your team: editor, proofer, virtual assistant, etc. If your total payments to each contractor reach $600 in a year, you will use the information on the W-9 to send out an IRS Form 1099-Misc in January to that person so he can report your payment as income on his tax return. You can get answers to many more questions in the ACX Help Center. You also may want to join the ACX Narrators & Producers Facebook group and read through its extensive FAQ that I created and maintain. Finally, I welcome your comments and questions here on the ACX blog or through a personal consultation, available for purchase on my Shop page. I’ve lost count of the number of audiobooks my friend has completed in his home studio, both for ACX rights holders and his regular publishers. By carefully choosing your software, adopting a streamlined work flow, communicating with rights holders and your team, and finishing your paperwork, you too will be on your way to becoming a successful ACX audiobook producer! Thank you, Ms. Commins, for publishing this article. I’m starting the journey to become a professional audiobook narrator, and found your article very helpful! I will be referring to it again and again. Hi, Nanette! Thanks for the note. I’m glad you found the article to be helpful. Since you’re just getting started, I also recommend you take my Audiobook Narrator’s Self-Assessment Quiz and read this article, which gives an outline of steps to take to build a narration career. You’ll find lots more info and advice in the other articles on my site. Best wishes for your success!